AN SAS soldier who shot an IRA man dead as he lay mortally wounded on the ground was justified in firing the fatal shots because he believed his life was still in danger, an inquest jury has ruled. 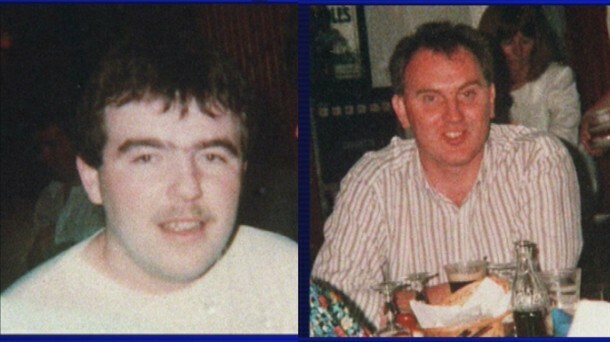 IRA men Dessie Grew (37) and 23 year-old Martin McCaughey were shot dead by SAS soldiers at a mushroom shed near Loughgall, Co Armagh on October 9, 1990. The killings caused controversy after it emerged that neither of the IRA men, who had been carrying AK47 rifles, had fired any shots during the entire incident, but were themselves shot more than 30 times by the SAS. There was further consternation when it emerged that shots had been fired into the bodies of at least one of the IRA men as they lay fatally wounded on the ground. The dead men’s families had campaigned for an inquest into the killings for more than 20 years. The case made legal history in May 2011 when the Supreme Court (formerly House of Lords) ruled that the state had to provide the dead men’s legal team with proper disclosure of events surrounding the shooting. The Supreme Court said that because there had been allegations that the men were victims of a so-called ‘shoot-to-kill’ policy any new inquest into their deaths must also examine the “planning and control of the operation” as well as the causes of death. The case has huge potential legal ramifications for the way in which Northern Ireland will deal with a number of so-called ’shoot-to kill’ cases were inquests have still to take place, in some cases 20 years after the incident. Last year Attorney General John Larkin stated publicly that many of the so-called legacy or Troubles related cases could be dealt with in the future by the coroner’s inquests. As the Grew/McCaughey killings was the first of these cases to reach full hearing, the handling of the case and its final verdict would have major ramifications for future inquests. Despite this the Grew/McCaughey inquest went unreported by the majority of the local media. Only The Detail and one other reporter were present for the jury’s findings on the first so-called `shoot-to-kill’ verdict in 30 years. Despite years of planning, the inquest, which lasted for two months, only heard evidence from some of the SAS soldiers involved in the killings as a number of soldiers chose not to attend. One SAS soldier claimed he was unable to give evidence at the inquest as he was unable to leave his job as a security consultant in Iraq. However, the jury was later told to treat the soldier as an “unwilling” witness after it was discovered that he had chosen to travel to the United Arab Emirates for work reasons, instead of returning to Northern Ireland to give evidence in the case. Another claimed he could not return to be cross-examined about new evidence which had just been uncovered as he was due to go on holiday. However the soldiers who did give evidence provided a telling incite at times into the role of the SAS in Northern Ireland. Soldier ‘D’, who played a crucial role in the shooting of Dessie Grew and Martin McCaughey recounted how he had been in England until less than 12 hours before the shooting. ‘D’ said that he had been paged while off duty and within hours was flown along with two other soldiers to Northern Ireland to take part in the SAS operation. He explained how the SAS unit had been wearing special thermal suits which protected them from the cold for up to 15 hours while carrying out surveillance duties. The court heard evidence that the SAS had fired more than 70 shots because they believed they were under fire from the IRA. However, the inquest heard that the shots being ‘fired’ at the SAS were in fact the soldiers’ own bullets rebounding back off the mushroom shed in their direction. Grew and McCaughey’s barrister, Karen Quinlivan QC, accused the soldiers of fabricating the “ricocheting bullets” story to justify the fact that the SAS had deliberately shot the IRA men dead, rather than attempt to arrest them. Ms Quinlivan rejected the soldiers’ claims that they had only opened fire when the IRA men began to walk towards their hiding positions. Dessie Grew was shot 22 times with wounds to his heart, lungs, liver, kidney, ribcage and diaphragm while Martin McCaughey was shot 10 times. Neither IRA man had fired a shot and it was later found that their rifles had not even been cocked. COUP DE GRAS OR JUSTIFIED KILLING? It was the shots fired at the IRA men as they lay defenceless on the ground which were crucial to the case. Soldier ‘D’ had shot Dessie Grew twice as he lay mortally wounded on the floor of the mushroom shed. He openly admitted having fired at Grew on the ground but insisted he’d been justified, claiming the IRA man had made a noise as the SAS entered the shed. However ‘D’ rejected claims that he’d also then gone on to shoot Martin McCaughey in the head as he lay mortally wounded on the ground just feet from Dessie Grew. Crucially, the jury had no powers to determine guilt or innocence in the case and instead was asked to determine solely the facts surrounding the deaths. After three days of deliberation the jury returned yesterday (Wednesday) to deliver its findings. It is thought to be the first ‘shoot to kill’ verdict in Northern Ireland in 30 years. Shortly after 2pm the foreman of the jury, identified only as C13, told coroner Brian Sherrard that they had reached agreement on the facts of the killings. In a devastating blow to the dead men’s families, who’d sat through eight weeks of evidence, the jury ruled that the IRA men’s own actions had contributed to their deaths and that the SAS had used “reasonable force” during the events that led to the fatal shootings. “Mr Grew and Mr McCaughey put their lives in danger by being in the area of the sheds in the vicinity of a stolen car, which was expected to be used in terrorist activity,” the verdict stated. Earlier in the case Ms Quinlivan had said the Grew and McCaughey families accepted that their loved ones had been on IRA ‘active service’ and had therefore left themselves liable to arrest, prosecution and imprisonment. However the families’ barrister argued that the shooting of the two men as they lay dying on the ground had been a deliberate SAS coup-de-gras and was evidence of a state sanctioned summary execution. Despite these claims the jury ruled that soldier ‘D’ had been justified in shooting Dessie Grew as he lay dying. “Soldier ‘D’ fired two shots at close quarters into Mr Grew. “Mr McCaughey was on or close to the ground when he sustained the fatal wound. “Mr McCaughey received other identified entry wounds and a further wound which is behind the left ear. The jury said it could not agree on whether the SAS had attempted to arrest the IRA men. Despite this they ruled that the British army’s elite unit had still been justified in opening fire on the IRA men once they felt that their secret hiding positions had been ’compromised’. “We cannot be unanimous on the balance of probabilities whether or not there was an opportunity to attempt arrest in accordance with the Yellow Card (British Army rules on soldiers opening fire) prior to the soldiers feeling compromised. “Soldier ’A’ opened fire in the belief that their position had been compromised and their lives were in danger. “Soldier ’A’ believed that Mr Grew and Mr McCaughey, who were armed with guns, wearing gloves and balaclavas, had moved towards their position. Before dismissing the jury coroner Brian Sherrard praised the Grew and McCaughey families for what he described as “remarkable fortitude and dignity” which they had shown throughout the two month inquest. Mr Sherrard said the dead men’s families had “left no stone unturned” in their 22 year campaign to have an inquest held into the deaths of their loved ones. 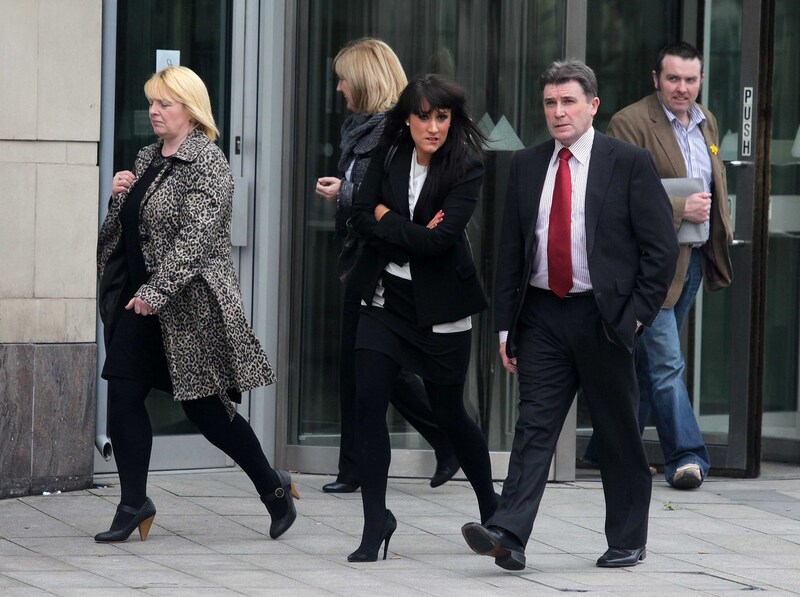 However he said the case showed up the strengths and weaknesses of the inquest system in Northern Ireland. He said that while there was now a definitive account on what had taken place between the IRA and SAS at the mushroom shed near Loughgall on October 9, 1990 there was still no explanation as to why countrymen took up arms against other countrymen or the actions of the state in how it chooses to deal with such matters. However, he said it was a matter for society to reflect on that there appears to be no other organ, other than inquest courts, where cases such as the deaths of Seamus Grew and Martin McCaughey could be properly dealt with.